Using Laser cut forms Scott Crawford, Jeff Libby, and André Tayborn produced a three-dimensional screen block. Tectonic signifies the fusion of technique with art, of construction with poetry… The renewed interest in the tectonic is an affirmation that the making of the physical artifact… is at the center of architectural discourse and rooted in craft, culture, and context. 1. 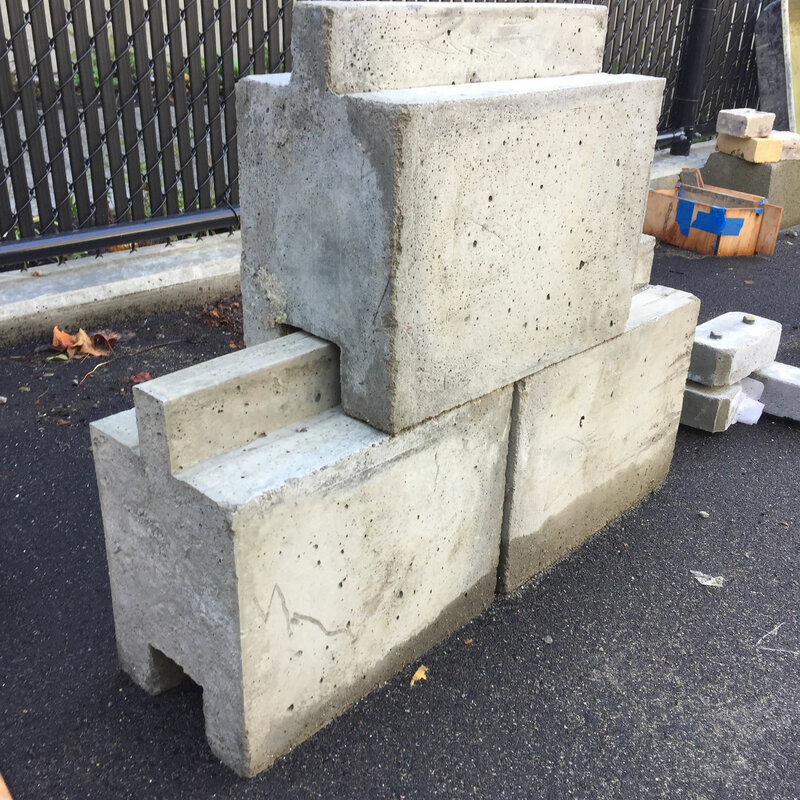 The ‘Better Block’ assignment is a part of a required graduate course on materials and assemblies at the University of Washington Department of Architecture. The course is primarily a lecture course on construction materials and best practices for building envelope assemblies. Topics are introduced in class and explored in depth through assigned readings, analytical observation and applied exercises. Like the tectonic, practical as well as expressive solutions are explored. Constructed architectural details, on global and local examples are used to examine fundamental principles. Construction theory and application are developed through the observation of built examples and the development of didactic drawings of details and experiments in physical making. Lectures are supported by readings from Materials for Design II, Victoria Ballard Bell, Skins, Envelopes, and Enclosures, Mayine L.Yu, Fundamentals of Building Construction, Materials, and Methods, Edward Allen and Modern Construction Handbook, Andrew Watts. The interdependence of design issues and construction constraints is stressed in the class. The students are coached to explore the relevance of technical issues to design ideas, appropriate use of materials and assemblies, material and construction problem solving, critical observation, and the integration of visual and functional solutions. The significance of details and their resolutions is used to show evidence of the integration of objective research and the development of subjective design values. The tire block designed by Arian van der Aar, Evan Bouquard, Veronica Leanos, Kelly Scaggs, Weicheng Li. The tire block used waste stream discards to line the forms. The class covers the issues associated with the performative layers of a building envelope and the major materials and assembly systems. Topics include thermal, air, moisture and vapor barriers as well as the general construction constraints and opportunities associated with masonry, concrete, wood, steel, and glass. With masonry, the topics covered by the class introduce a representative range of relevant topics. Assignments are typically drawn building sections and detail drawings as well as the physical casting of a modified concrete block. Masonry, in general, is covered as brick and block. Modern brick is presented as an enduring outer face of a rain screen wall assembly, while block is discussed as a structural material and screen. Block work with grout, rebar and cast concrete in the cores is presented as a cast-in-place concrete wall, with the blocks acting as formwork that stays in place. The evidence of craft is emphasized, and the evolution of that craft from hand to robot. Both brick and block are used as teaching examples of the ‘unit of assembly’ and modularity. Both are used to show the effects of weathering and durability. The issue of lintels over openings is seen as an opportunity to show that even as a veneer, masonry displays the ‘marks of making’ and is ‘heavy enough’ to exhibit the transfer of load. 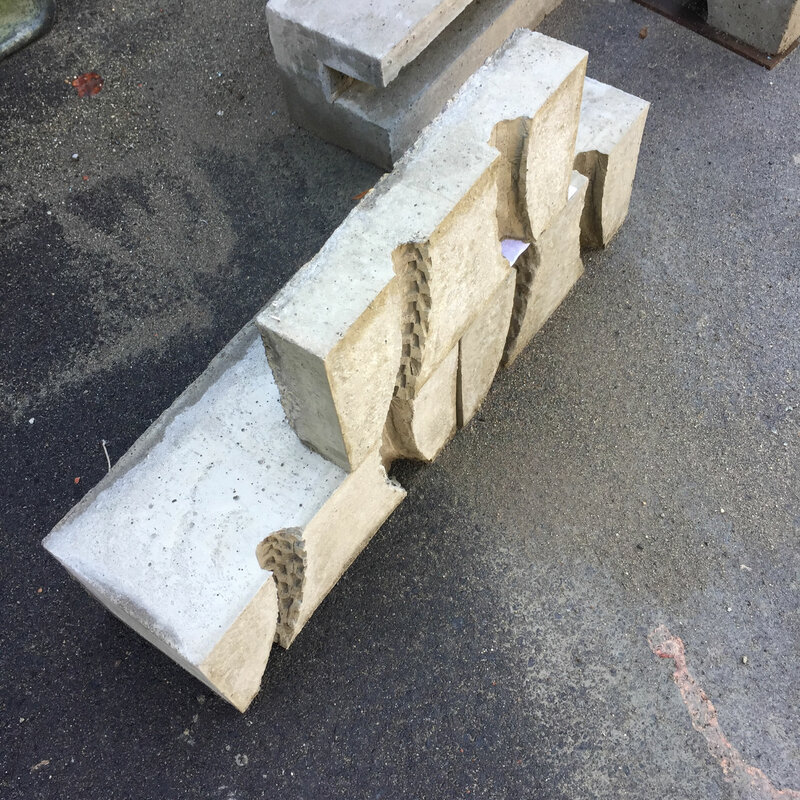 In addition to a technical and theoretical introduction to Masonry, the students are asked to get hands-on with the material, and both design and cast their response to ‘Better Block’ a project call for a better concrete block. The broadest objective of the ‘Better Block’ assignment is to learn and appreciate that the word ‘form’, is both a noun and a verb. In this project, form is active. The students are asked to form a block. Rather than see form as only a shape, they see that the final product is a result of the forces that shaped it. It is formed. Students tend to talk about form only as part of a visual language; they give form to things. Form release of the sound block, by Lauren Wabiszewski, Ryan Salas, André Kullman, Anna Grundmark, Talla Stuart Dahlgren. The sound block was designed to amplify an iPhone. Here, in a quick two-week project, which warms up the class and leads into the quarter-long class, they confront making an idea into reality. A class devoted to construction starts with the translation of thought into an object. 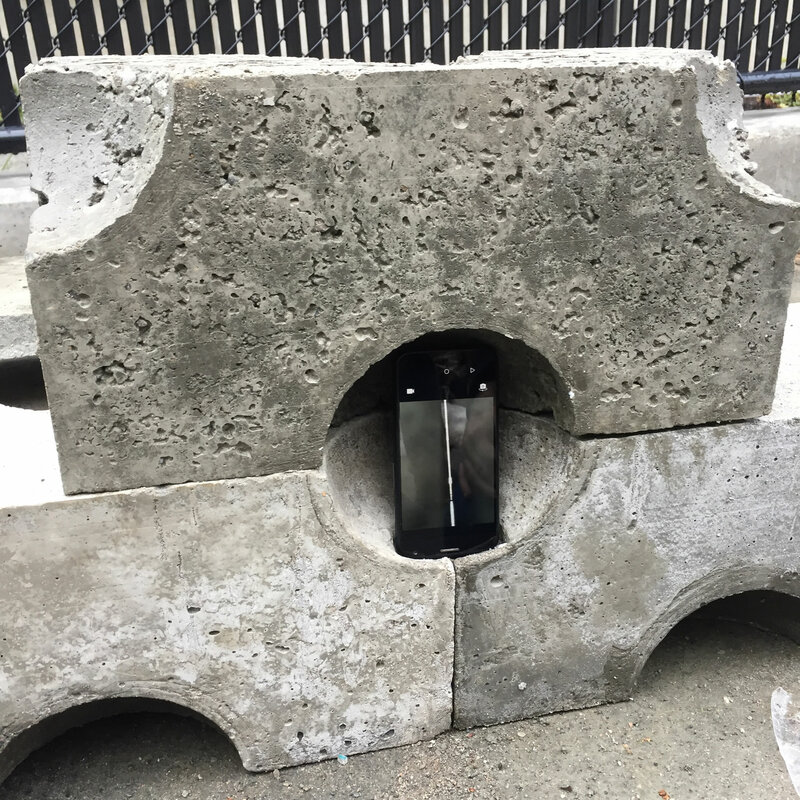 Working in teams of three to five, the students design and fabricate a better concrete block, which fits within a wall of standard module concrete blocks. They are asked to consider specific architectural programs such as a railing, screen, scupper, species habitat, water detainment, thermal mass or shadow block. The brief calls for them to cast three blocks from one reusable formwork. Space is allowed for reinforcing voids. If necessary, given the very reduced project time frame, to simplify formwork, the spaces for rebar and grout can be filled solid in this iteration. No secondary finishing of concrete is allowed. At the introduction of the class and project students are introduced to the project brief, precedents, and given a shop safety and tools introduction. A building block concept follows a few days later. Each team produces a quarter size cast plaster model and a printed digital image showing the resulting configuration when multiple blocks are combined. Designs are reviewed and casting technique and the construction of forms are discussed. 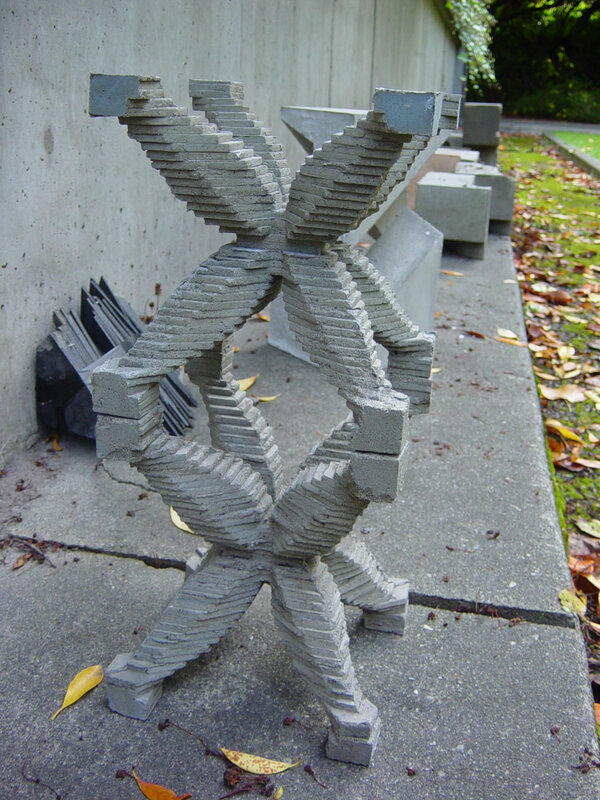 At a final presentation, after the design and production of a minimum of three, the student concrete blocks are stacked to show physically their combined relationship. Formwork is reviewed and revisions or next steps discussed for revisions to the block and formwork designs. All aspects of the process are evaluated from concept and plaster model, through digital renderings of the block in a wall, to manufacture of the form, and then the castings. Teamwork is emphasized to reduce individual labor and time. It is interesting to observe the students physically working together in addition to producing drawings or team discussions. Physically collaboration in the shop compliments collaboration in the studio. The performance of the final cast block is evaluated as both a reusable form and as an answer to their stated enhanced or better block objective. The collective effect of multiple adjacent blocks is observed, and the level of craft achieved. The blocks often improve as casting and release technique is improved with each subsequent pour. Designs are discussed for both the possibilities of practical application and poetic architectural expression. The tongue and grove block designed by Yang Su, Wenda Wu, Jingwen Liu. The tongue and grove block explored a dry stacking detail. Currently, the better block exercise is one of three assignments for the materials and assemblies class, the other two are technical drawing based, in what is essentially a stand-alone lecture class. A next step is to run a masonry-based design studio focused on block as structure, screen, and rainscreen component. The studio would be a tectonic investigation into the opportunities and constraints of concrete block as craft and construction and the material’s place in modern architectural culture and context.